Homeopathy is a complete holistic system of medicine that helps the body’s natural ability to heal itself. The basic principle of homeopathy is that ‘like cures like’. So homeopaths believe that a substance that can cause an illness is also able to cure it. The active ingredients are given in a highly diluted form to avoid toxicity and side effects. Because of this dilution, homeopathic remedies are virtually 100% safe. Homeopathy can be used to treat a wide range of conditions. It can help to repair any damage which the body has the potential to repair, and help restore the body’s balance for recovery and health. Some remedies are available over the counter in many pharmacies, health food shops and through the Good Health Centre. Your homeopath can advise you on the use of these remedies to treat first aid problems such as bites, burns, bruises and stings. Working on the principle that ‘like treats like’, homeopaths treat an illness with a medicine which could produce similar symptoms in a healthy person. An example is raw onion which makes people’s eyes water and noses run. A homeopathic remedy made from onion (allium cepa) is used to treat patients with watery eyes and runny noses caused by colds or hay fever. 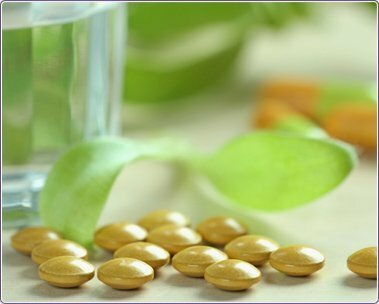 The active ingredients in homeopathic remedies are given in highly diluted form to avoid toxicity and side effects. Because of this dilution, they are virtually 100% safe. The remedies are prepared from the natural environment: from plants, minerals and animals. During preparation they are repeatedly diluted and shaken to reduce the potential to poison and cause harm. Homeopaths have observed that the longer this preparation continues and the more diluted the remedy, the greater its potential to cure quickly and harmlessly. Homeopatic remedies have been extensively tested (known as ‘proving’) on healthy humans so that there is a detailed picture of each remedy’s mental, physical and emotional effects. At your first appointment your homeopathy practitioner will take your full medical history and explore your health problems, including your diet, sleep and moods throughout the day. At the end of the consultation you will usually be prescribed the right homeopathic remedy for you. After taking your remedy, it’s possible that your symptoms may get a little worse for a short time. Homeopaths believe this shows that the remedy is starting to have an effect. You may also develop a cold or a rash, or notice a discharge which is an indication that your system is cleansing itself. Keep a diary of any major symptoms or changes in your condition to discuss with your homeopath during your follow-up appointment. Homeopathy is an extremely safe and established system of medicine which works well with conventional medical treatments. However, it is always important to inform your homeopath of any medications you take or treatments you are having. Some homeopaths believe that some medical treatments and strong smelling substances such as aromatherapy oils and minty toothpastes may affect some homeopathic remedies. Please tell your homeopath if you use any products like this.